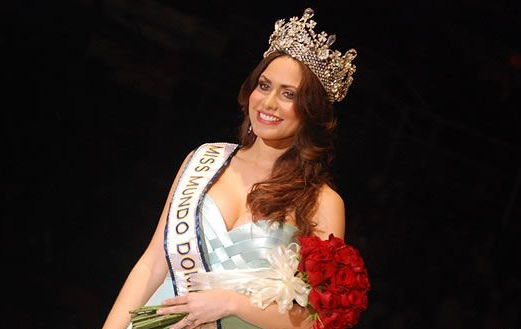 Miss World Costa Rica 2012 will be crowned on March 22 in Heredia. Nine contestants are competing for the title. The winner will represent Costa Rica in Miss World 2012 in Ordos, Inner Mongolia on August 18. 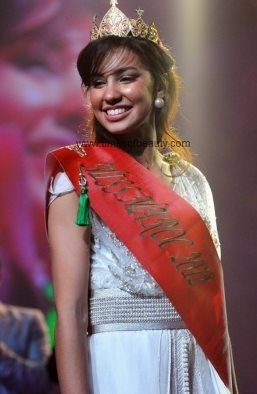 One of the runners-up will compete in Miss International 2012 later this year. Special thanks to Allan Alemán, national director of Miss World in Costa Rica! SANTIAGO DE LOS CABALLEROS, Dominican Republic - Jenny Margarita Blanco Marquez (25, 1.67m, Santo Domingo) was crowned Miss Mundo Dominicana 2012 at the Gran Arena del Cibao in Santiago de los Caballeros during the Dominican Republic Fashion Week. She will represent the Dominican Republic in Miss World 2012 in Ordos, Inner Mongolia on August 18. Diany Mota, national director of Miss World, explained that the representative was selected during a casting call due to the date shift of the international pageant. The Reina Nacional de Belleza Miss República Dominicana 2012/2013 pageant will take place on September and the winner will go to Miss World 2013. 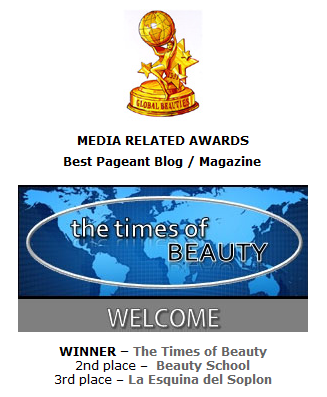 The Times of Beauty received the Yulia for Best Pageant Blog / Magazine of 2011 by Global Beauties at the 14th Annual Global Beauties Awards. 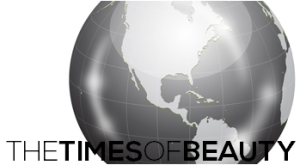 Edwin Toledo, director of The Times of Beauty, proudly accepts this tremendous honor and it is grateful to Global Beauties for bestowing this important award on this website. Mis Lietuva 2012 will be crowned on April 9 at the Švyturio Arena in Klaipeda. 14 contestants will compete to succeed Ieva Gervinskaitė and earn the opportunity of representing Lithuania in Miss World 2012 in Ordos, Inner Mongolia on August 18. The contestants competing for the title are Karolina Parmionova, Ieva Ambrazaitė, Enrika Grigaitytė, Ernesta Kliucevičiūtė, Jolita Kuginytė, Eglė Leščinskaitė, Agnė Lukaitytė, Eglė Štandtaitė, Nora Sudarytė, Viktorija Sutkutė, Rasa Veneriūtė, Erika Vilimaitytė, Eglė Žilytė and Erika Jusytė. Mis Latvija 2012 will be crowned on April 15. The winner will represent Latvia in Miss World 2012 in Ordos, Inner Mongolia on August 18. The first runner-up will compete in Miss International 2012. Delphine Wespiser, Miss France 2012, recently confirmed her participation in Miss World 2012 during a live chat interview with Metro France. Wespiser (20, 1.75m, Magstatt-le-Bas) was crowned Miss France 2012 at the Parc des Expositions de Penfeld in Brest on December 3. She will represent France in Miss World 2012 in Ordos, Inner Mongolia on August 18. Special thanks to Metro France! LIMA, Peru - Giuliana Myriam Zevallos Roncagliolo (23, 1.80m, Lima) was appointed as the new Miss Perú World 2012 by Ernesto Paz, director of the Miss Perú Organization. She will represent Peru in Miss World 2012 in Ordos, Inner Mongolia on August 18. 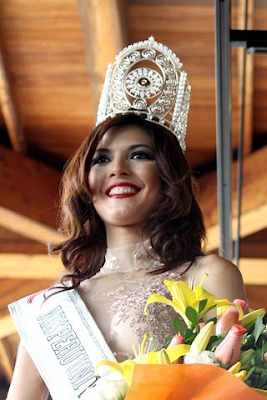 Nicole Faverón Vásquez (22, 1.83m, Iquitos) was appointed as the new Miss Perú Universe 2012. She will represent Peru in Miss Universe 2012. The representatives were crowned at the Santiago de Surco's Parque de la Amistad in Lima. The Miss Perú 2012 pageant will be held on July and the winners will represent Peru in Miss Universe 2013 and Miss World 2013. Special thanks to Ernesto Paz, national director of Miss World and Miss Universe in Peru! Donique Leonard (19, 1.75m) is Miss International South Africa 2012 and will represent her country in Miss International 2012 later this year. She was selected by South African Beauties, official license holders of the international pageant in South Africa. 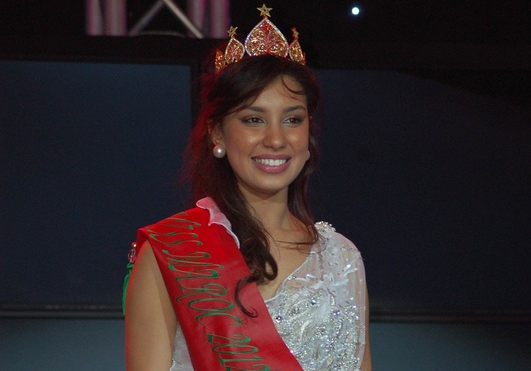 EL JADIDA, Morocco - Sara Mouâtamid (19, Casablanca) was crowned Miss Maroc 2012 (Miss Morocco 2012) at the Mazagan Beach Resort in El Jadida. She is expected to represent Morocco in Miss World 2012 in Ordos, Inner Mongolia on August 18. Sara Moatamid studies at l’ENCG (École Nationale de Commerce et Gestion) and speaks five languages: Arabic, French, English, German and Spanish. 18 contestants will take part in the first official edition of Miss Maroc 2012 (Miss Morocco 2012) to be held on February 4 at the Mazagan Beach Resort in El Jadida. The selection process was done throughout all regions of the Kingdom. The pre-selection began on December 3 and ended on January 22 and included castings at major cities including Casablanca, Rabat, Tangier, Oujda, Marrakech, Agadir, Dakhla and Laayoune. 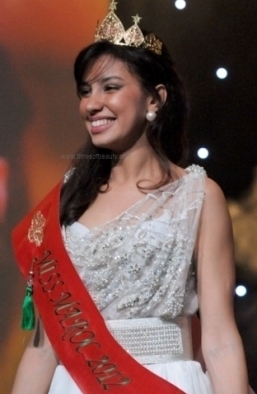 The winner will represent Morocco in Miss World 2012 in Ordos, Inner Mongolia on August 18. The Miss Morocco 2012 will be awarded a car, a gold ornament, an advertising contract and training in languages ​​for her participation in Miss World 2012. SOURCE| Arabic (1), (2), (3). French (4). 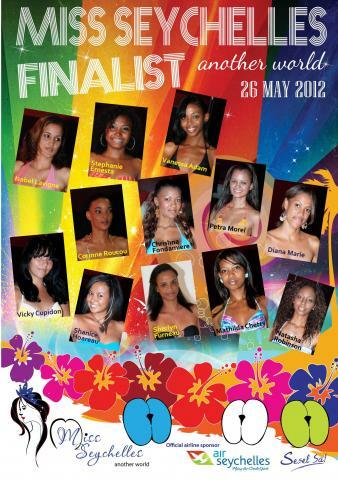 The Seychelles Tourism Board recently announced the names of the 12 finalists for Miss Seychelles... another world 2012. They are Christina Fondamière, Corrine Roucou, Diana Marie, Isabel Lavigne, Mathilda Chetty, Natasha Robinson, Petra Morel, Shanice Hoareau, Sherlyn Furneau , Stephanie Ernesta , Vanesa Adam, and Vicky Cupidon. The finals are scheduled for May 26 and the winner will represent Seychelles in Miss World 2012 in Ordos, Inner Mongolia on August 18.